Lamps tend to give off softer, warmer light than overhead fluorescent bulbs. 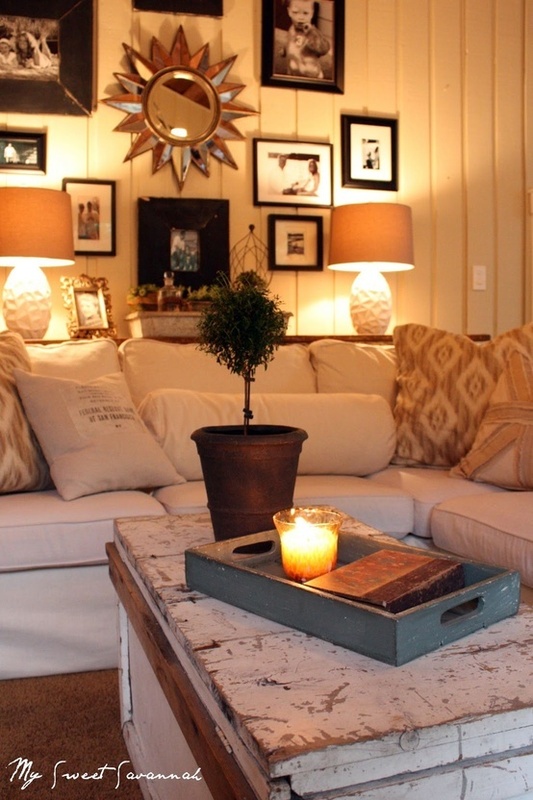 The golden light from these lamps really warms up the room and makes it feel more intimate. I love this look. Lamps gives every room the perfect feel.